Sweetology: School House Rock Cupcake "I'm Just a Bill"
School House Rock Cupcake "I'm Just a Bill"
from school and watching the ABC "After School Specials"
Remember those....aaahhh they taught me a lot about life. Remember learning how a Bill became a Law?? Here...watch this BLAST from the PAST..
"I'm Just a Bill...Living on Capital Hill"
our COUNTRY is pretty darn awesome. This was super EASY..I just wrapped up a rectangle piece of white fondant as a scroll for "Bill" and then used Edible Food Writers on White Fondant for the saying, "I am Just a Bill". The tassel on Bill is twizzler adhered with a little corn syrup!! The frosting is red buttercream (mycakeschool.com recipe of course...) and piped with a Wilton 1M!! Oh my gosh I love it! I think you should probably do a cupcake for every School House Rock...maybe Conjunction Junction next? Very fun!!! Such a creatively fun idea! I'd love to be able to say that I grew up in the 80's, unfortunately I can only say that my kids did LOL They enjoyed the afterschool specials as much as you did though :) Enjoy your 4th of July celebrations. Wow! I remember that! Your cupcakes are so cute and orginal! LOVE THEM! I haven't thought about that in a long time. lol! I CANNOT write with one of those markers - what is my problem? Anyway, super super cute! Ha, ha..I love this! I brought back memories! 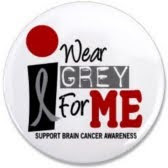 Nest week will you do something on 3-2-1..CONTACT! Love it! You're a fabulous cupcaker!! Wow - this brought back memories! Thanks for sharing! Your cupcake design is so fabulous - just perfect for the 4th! Thanks for sharing and Happy holiday weekend to you and yours! I used the show when I was teaching little ones year ago! A fun trip down memory lane. 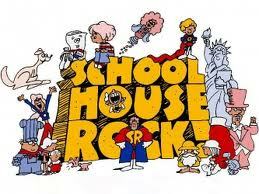 OK, I'm catching up with my blog friends after being gone last week and I have to say - I LOVED SCHOOL HOUSE ROCK!!! I give you the award for Most Clever Cupcake Ever! Loooooove how your mind works!